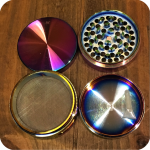 This X-Large Rainbow Zinc Grinder is a high functioning three chambered grinder for your legal dry herb. 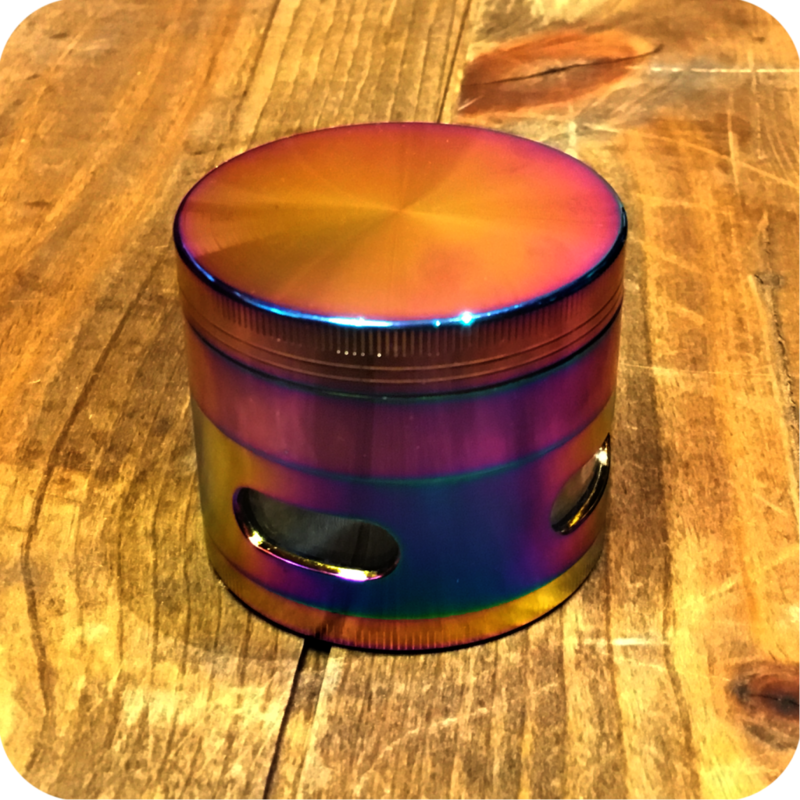 The X-Large Rainbow Zinc Grinder immediately catches your eye with its beautiful, oil slicked rainbow design. 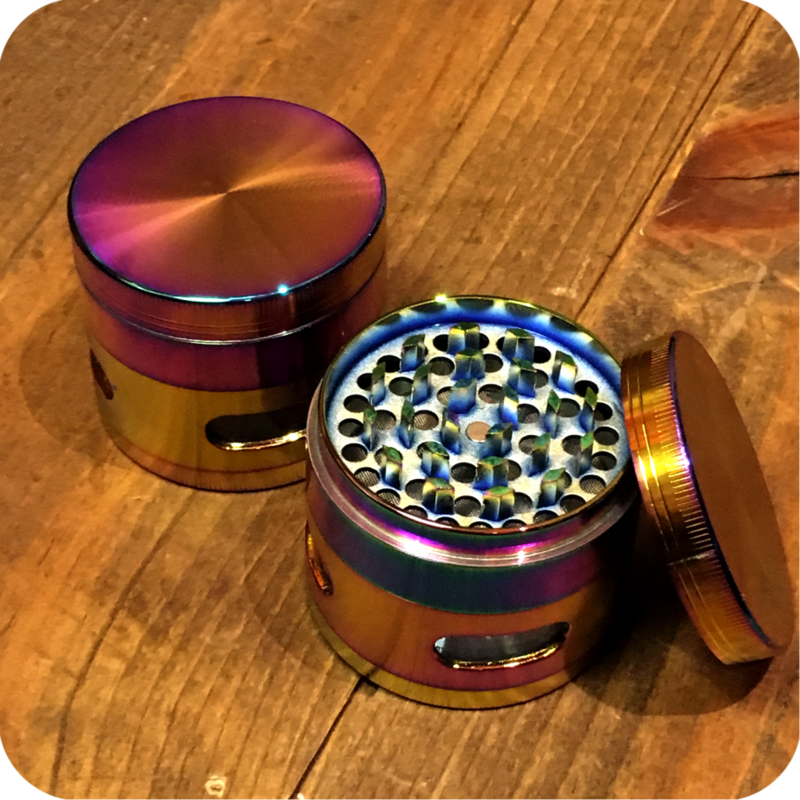 This means with every move the grinder will subtly change colors as it reflects the light in different ways. 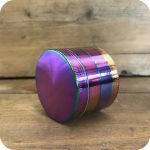 Each grinder is utterly unique in its design, since every chamber is decorated with a distinct color, from purple, blue, or a dazzling gold. They’re all built in an identical fashion, however, to ensure a reliable grind with each use. Like most grinders, the top chamber functions as the grinder section. It includes very sharp and effective teeth, that really get the job done well. Just place your herbs on top of the teeth, close the lid firmly, and start grinding away. Once that is done, you can now open the second chamber where you will find your finely and evenly ground herb ready for smoking. Finally, the last chamber is for storing the pollen that would otherwise be lost if you choose to finger-grind manually. 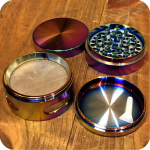 This particular grinder conveniently includes a small plastic scraper tool that is a great help to getting into the corners of the grinder, and ensures no pollen is wasted. The X-Large grinder is prepared to handle the bulkiest of loads with ease and efficiency. This particular size features clear windows into the main chamber to more easily monitor your current stock without having to open the chamber up. We would highly recommend this grinder for any new or old smoker. It is simple to use, simple to clean, and will last you a lifetime with the right maintenance and care. 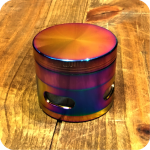 Plus, its dazzling oil slick rainbow design is unlike any other grinder out there and is sure to brighten any smoke setup. 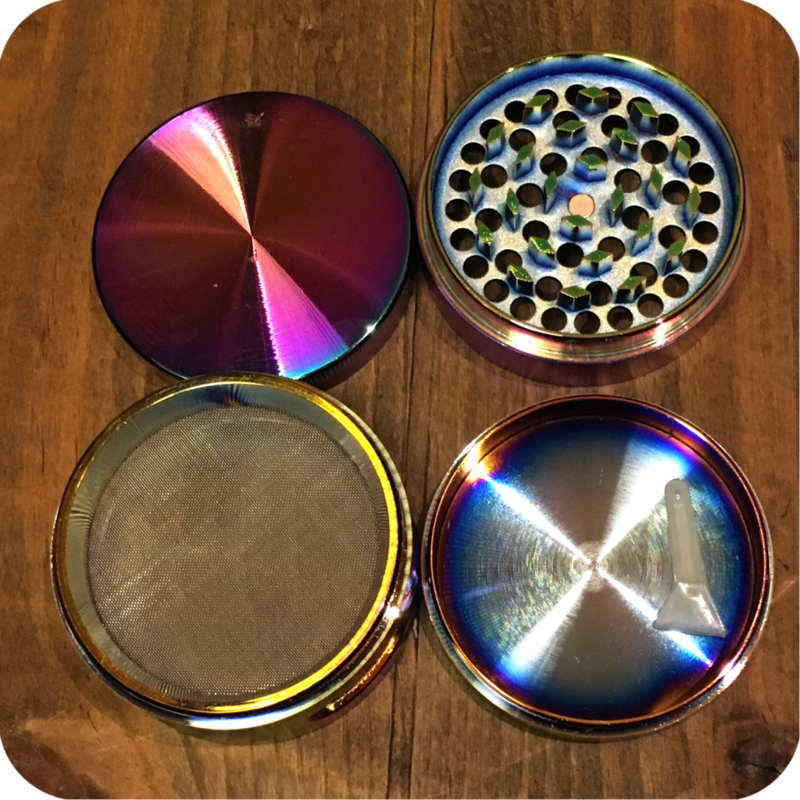 Curious about more grinders we have to offer? 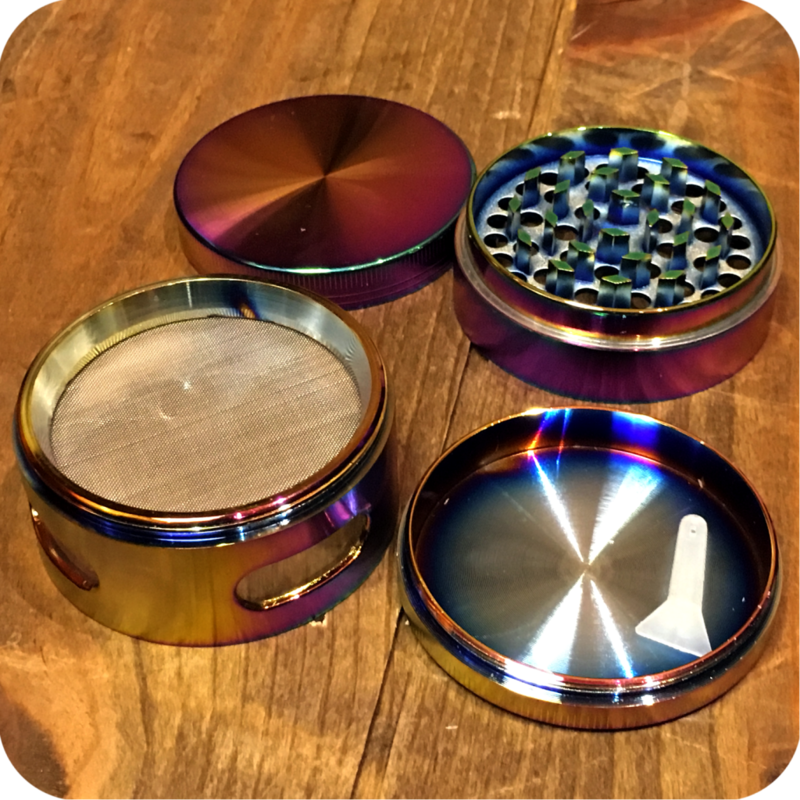 Be sure to check out our very discreet and fashionable Pocket Grinder, or our very popular Crank Top Grinders. Also be sure to visit either one of our three Brooklyn store locations to see what else we have to offer! 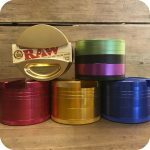 Tags: Brooklyn, brooklyn glass, brooklyn smoke shop, Large Grinder, new york, Rainbow Grinder, X-Large Rainbow Zinc Grinder, zinc grinder.